If you’re living paycheck-to-paycheck, then income might be a decent proxy for expenses. But I’m hoping that’s not the case for most of you. In the end, if rules like this spur someone to action (vs. complete inaction) by at least providing a concrete and/or conceivable (if wildly inaccurate) goal, then I guess they’re doing their job. But you’re not doing yourself any favors (again, imho) by burying your head in the sand and basing your retirement plan on overly-simplistic assumptions. Here’s a simple rule of thumb: Project your retirement income needs and multiply by 25 (or 33 if you want to be conservative). These values correspond to 4% and 3% withdrawal rates, respectively. That’s how much you’ll need in a well-diversified portfolio. Is that number overwhelmingly large? Then you need to start earning more, investing more of what you take home, and/or reducing your desired standard of living. Or all three. You can’t cheat reality. There are plenty of sources for my assertion that neighborhoods become less safe over time. Take a look at good neighborhoods for middle income white collar workers 50 years ago. Take another look at those same neighborhoods today. That may sound extreme; Yet, when my mortgage is paid off and my retirement begins, my neighborhood will be 30 years old. When I moved here 10 years ago, my family had insurance for $216/mo. It wasn’t the greatest insurance, but it covered the big stuff. Today, our insurance is $736/mo. Now this plan is a ‘Cadillac’ plan talked about by the Obama Administration, and pays virtually everything; But, the cost increase is huge. The 10 years prior, my family had no insurance, and paid as we went. We had two kids, and went to the doctor whenever the kids got ill. In that 10 years we paid less than $5,000 for all of our healthcare expenses, including the hospital bill for the two children. I am watching my parent’s generation right now deal with Medicare. The amount of money they spend each month on prescription medication is VERY high. Add in the cost of insurance premiums, and it is quite overwhelming. However, my real problem is, how much will it cost in 30 years? My claim is the government will not have the money to pay Social Security when I retire. If the government can’t pay Social Security, then it can’t pay Medicare. You have given no data to suggest my eccentric claim is false. The social security is easiest to figure. If you think you’ll get zero (or want to be prepared for that eventuality), run the numbers as if it doesn’t exist. Do you have any sources for your assertion that older neighborhoods become less safe over time? I would expect the opposite, but I don’t have any reason for that, it’s just based on the few neighborhoods I have happened to live in. As far as health care… If you plan to retire at 67, you could assume medicare will cover it. Or you could assume it will keep going up 20% per year and keep working until you can pay that. Although, are you sure health care costs have increased 38-fold in the last two decades? Seems just a tad hyperbolic. I do agree, though, that healthcare is one of the biggest wild cards in any retirement plan right now. I find your article interesting, but lacking in a key point. How do you project your retirement needs? Let’s take a few examples to illustrate my difficulty projecting my retirement needs. First, I am 42, married with two children. I own my home, and if I pay the mortgage out, it will be paid off by the time I reach 62. It seems logical that I can reduce my ‘rent’ to taxes, insurance, and upkeep, which seems like a safe assumption. However, neighborhoods tend to go down in quality, and security the older they are. 10-15 years into my retirement I could be stuck in a house which is located in a neighborhood which is ‘unsafe’? You might think I could sell my house and buy one which is of equal or lesser value; However homes in ‘unsafe’ neighborhoods go for significantly reduced price, plus the real estate fees, and I might need additional money to make that transition. Every retirement calculator I have seen takes into account that I will receive Social Security. I do not believe that is a safe bet. I realize the government and politicians want to give me the money. I am also good enough in math to realize there is no government on Earth we can borrow enough money from to make that a reality. Where am I going wrong here? Why is it that I believe the government can not possibly make its Social Security payments, and every other knowledgeable economist thinks it will. What exactly am I missing? Healthcare scares me the most. Over the last 20 years of my life my healthcare costs have increased at a frightening rate. Averaging close to a 20% annual increase. There is no way I can afford this. If it continues at this rate it will cost more than my total income at the time of retirement just to pay the insurance premium. I anticipate that this increasing rate will have to slow down at some point; However, I have been saying that for the last ten years, and the premiums continue to climb at an astronomical rate. So How much should I plan on spending in healthcare costs? How can I even remotely predict what that cost will be in 25 years? What I am asking is, How do I calculate my expenses in retirement? I could just take my current expenses, and multiply them by a fictitious number, but wouldn’t that be just as bad as taking my income and multiplying it by a fictitious number? 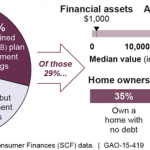 As a rule of thumb, it seems below average… One big flaw is the social security assumption. Though it probably works for 90% (a number I just made up) of people reading the article, those with low, high, or no official (that SS recognizes/taxes) could need vastly different amounts of replacement income. Most of the boatload of assumptions don’t figure into the 8x figure, I have to imagine. Rather they would figure into their other milestones, starting with 1x income at 35. While I do agree that expenses are more important than income, for 90% (again I just pulled this out of m… made this number up) expenses and income are identical or nearly so. So as far as rules of thumbs go, it’s not the worst assumption in the world. Penny: No. Take your anticipated annual expenses in retirement and multiply by 25 (or 33). That is, your expenses for one year. Assuming a 4% safe withdrawal rate, a portfolio 25x the size of your annual expenses has a high likelihood of providing withdrawals to match those expenses for an extended period of time (most studies go out 30 years). If you want to increase your odds, use 33 as your multiplier. The models that these numbers are based on are inflation-adjusted. 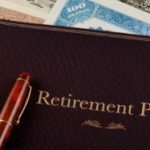 So if you were retiring today and had $50k in annual expenses, you would need $1.25M (ignoring social security, pensions, etc) to provide for those needs over a reasonably long retirement — and this amount should (under the assumption of the model) support that level of spending on an inflation-adjusted basis. No guarantees, but that’s what the available data says. Steve: It’s the source link at the end of the article. I like how you point out that real returns (returns in excess of inflation) are important. 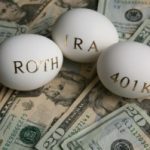 Too many people think that they can fully fund their retirement by going to cash and cash equivalents once they retire. Unless you saved a ton of money (relative to your actual expenses) inflation makes a going 100% to cash during retirement an impossibility.